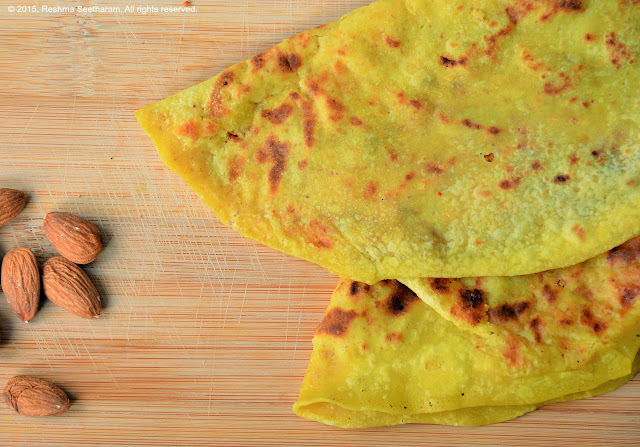 Ragi rotti is a whole grain flat bread rich in protein and calcium, made from finger millet flour, and vegetables. I will try my best to show you how to make Rotti in easy steps. This is an all time favorite breakfast of the Karnataka people. I have used he same steps and techniques here, check it out. Akki Rotti. I use 2 thick sheets of tissue paper that's well soaked and partially squeezed. You may use banana leaf, waxed paper, or Ziploc sheets. Use a flat nonstick pan or regular flatbread fry pan; I prep the pan surface this way. Heat the pan on medium to a smoking consistency, wipe it with half a shallot dipped in oil, this gives a nonstick coating, the old fashioned way. Turn the flattened rotti, face down on the pan and pat down gently. Carefully peel out the paper holding one edge. Let it cook on medium heat. You may add a little oil or butter to the edges. (Remember, when using a plastic paper, peel the rotti on to your hand and very carefully place your hand, face down on the pan, Don’t burn your hand, it needs practice, safe bet, use paper or greased paper! ) Lift the edges a bit to see the color, if its golden brown, flip it to the other side, carefully and gently. Let it cook the same way on the other side too. That's it; flip it on to a plate now. If you flip it too many times on the fry pan, it might tear. 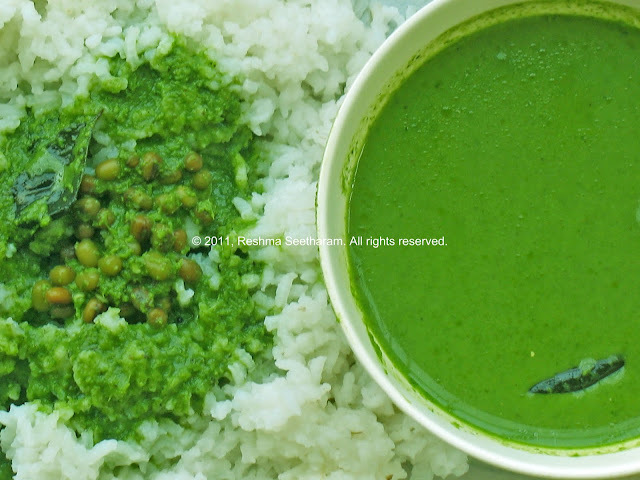 This goes great, when served with cilantro chutney and a tiny dollop of butter. Enjoy!